Herkimer Diamonds are unique stones that contain natural black carbon inclusions- no two are alike! 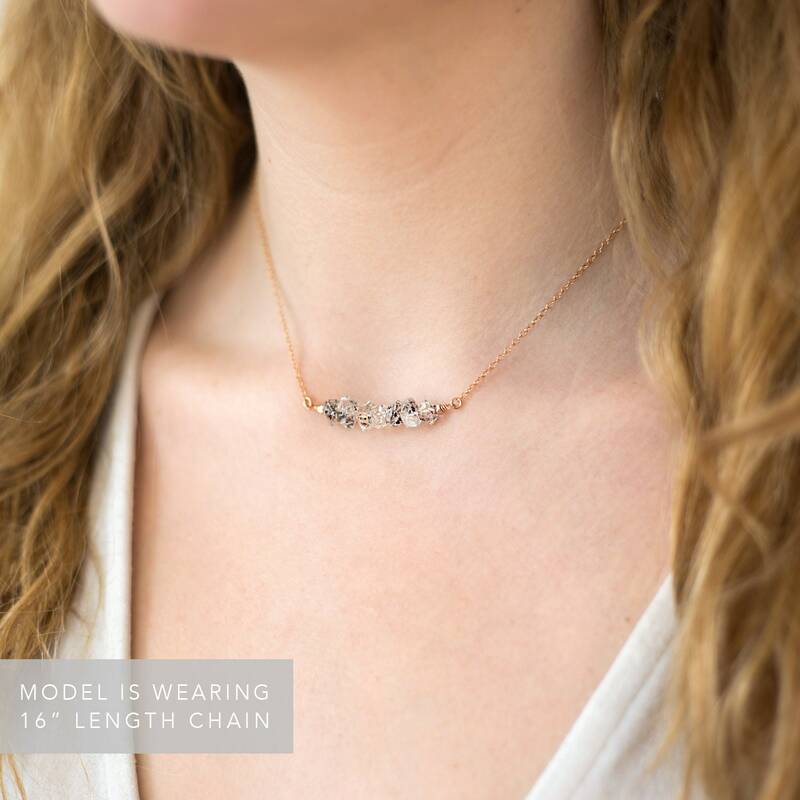 This necklace features a beautiful bar of natural raw Herkimer Diamond gemstones wire wrapped onto a dainty chain. 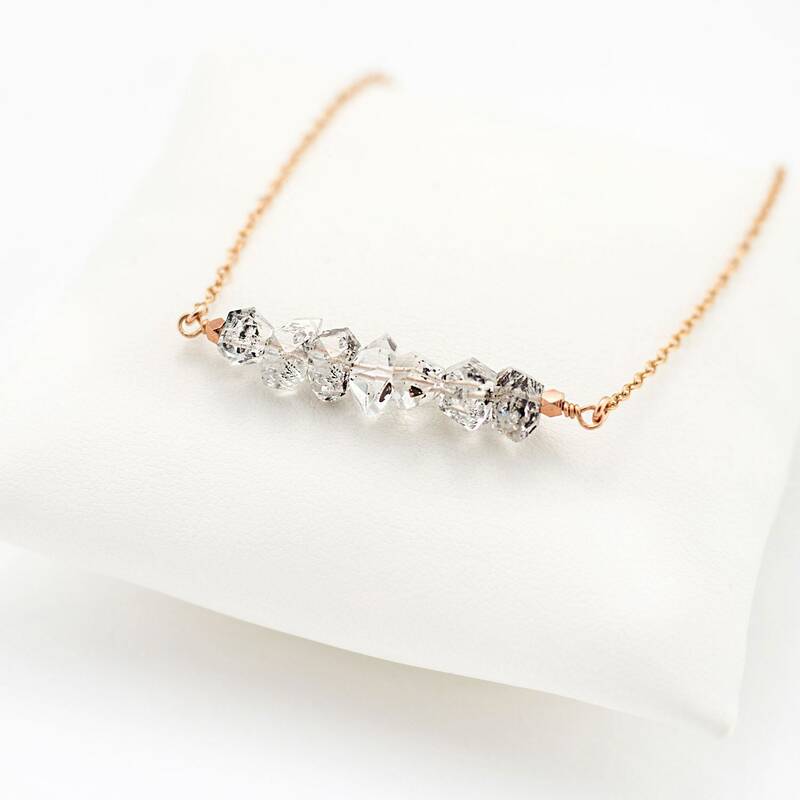 These necklaces are perfect for layering, and are simple enough for everyday wear. 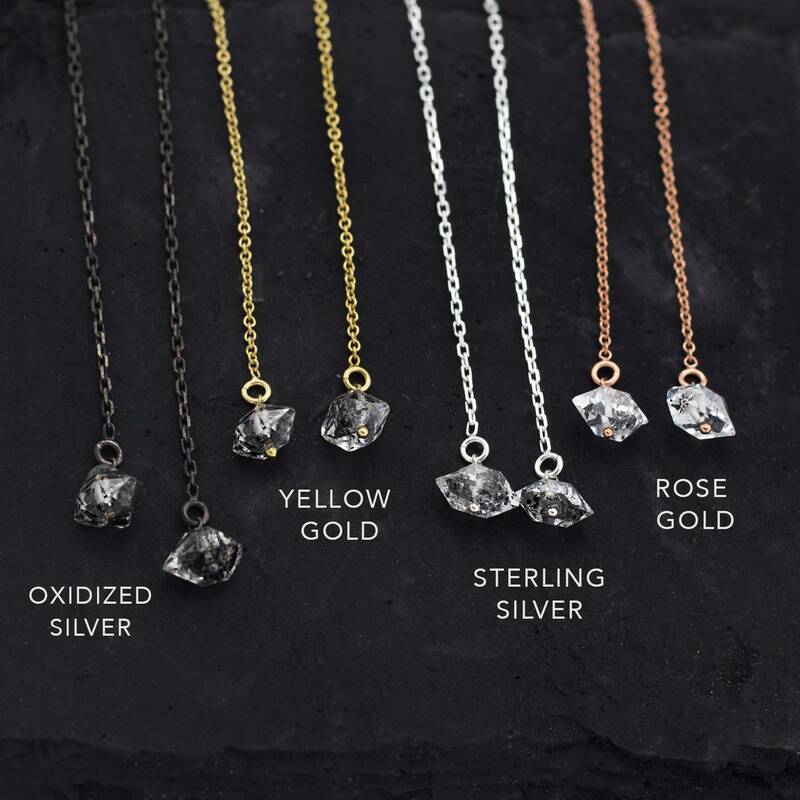 Available in Yellow Gold, Sterling Silver, Rose Gold and Black Oxidized Silver. 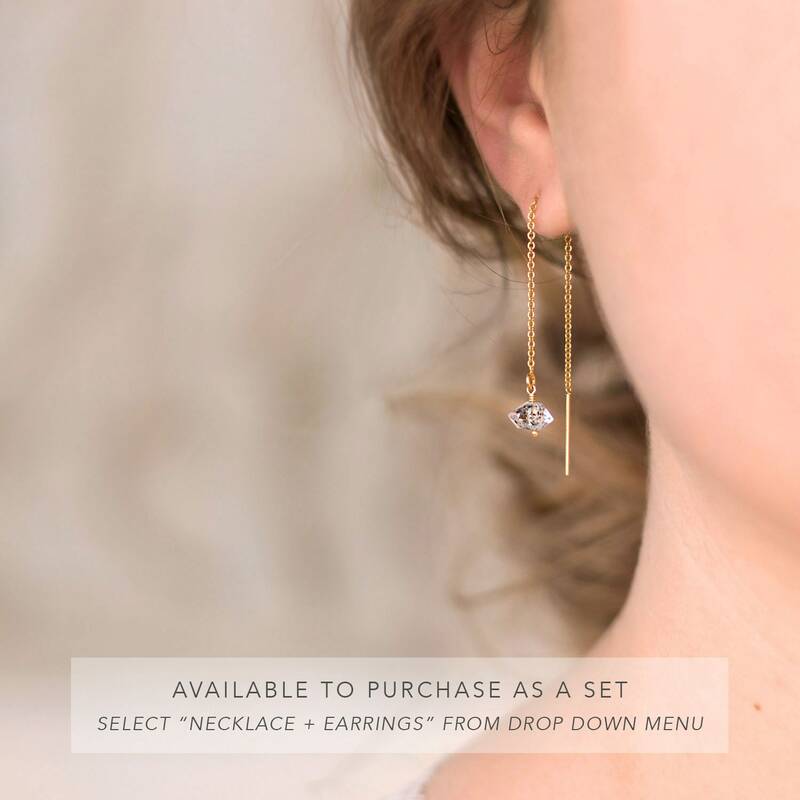 The matching earrings feature a tiny raw Herimer Diamond stone hanging from a delicate threader chain. These simple, yet eye-catching earrings make the perfect bridal gift! 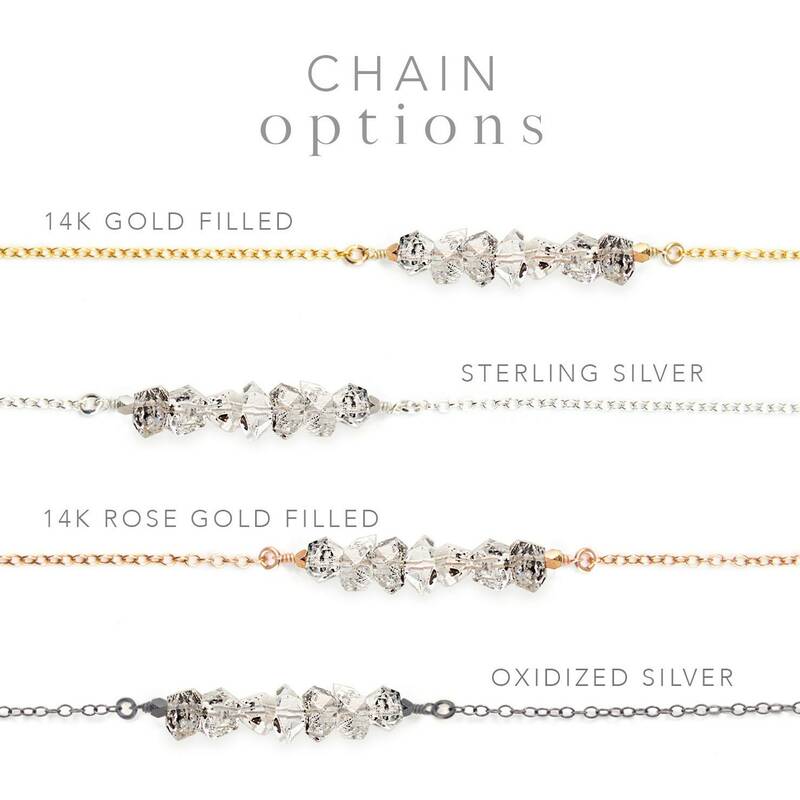 Available in Yellow Gold, Sterling Silver, Rose Gold and Black Oxidized Silver. The default necklace length is 16 inches. 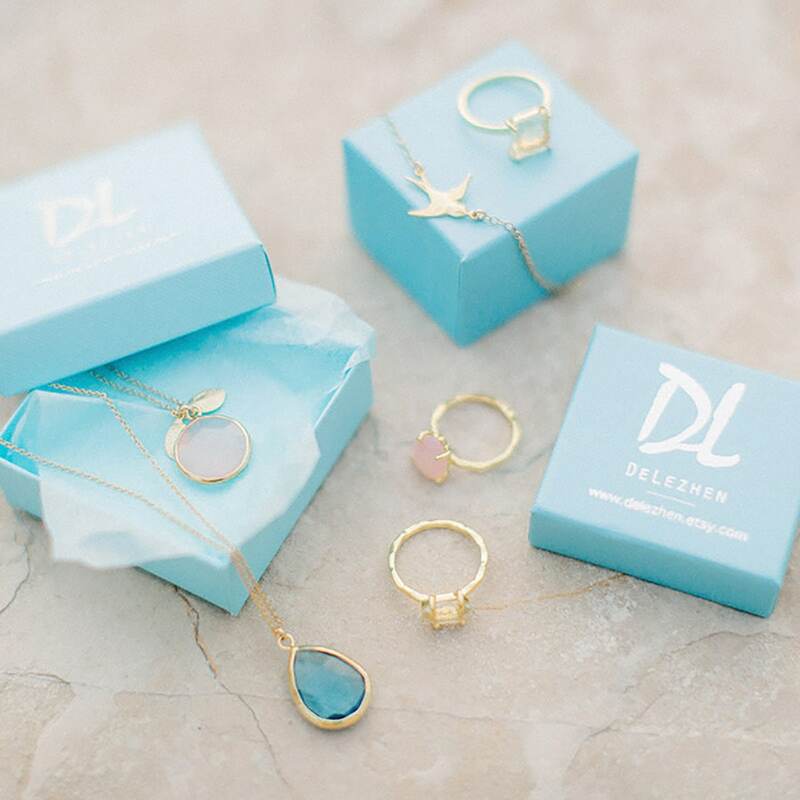 If you would like a necklace length longer than 16 inches, in the "Add a Note to Delezhen" message box at checkout, please let us know which length you would prefer!